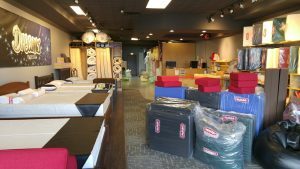 Our Nanaimo store is located on Aulds Road sandwiched between highway 19 and Island Highway, right next to Staples and Penningtons. There is plenty of free parking in front of our store, so come by and say hi! 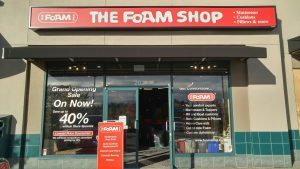 The Foam Shop Nanaimo is part of our new expansion on Vancouver Island, opening our doors in 2016!